On a complete whim, I decided to read The Selection. I stayed away from it before because of all the dramallama connected to it, but since that has quieted down, I picked up the book. Because of all the scathing reviews around its release my expectations were pretty much rock-bottom. The premise of the book is this weird cross between a dating reality show and a touch of dystopia. Add a love triangle, and you have The Selection. This is one of those books that people love to hate, and I understand that. The premise is pretty laughable – but then again, does that matter? For me, no. 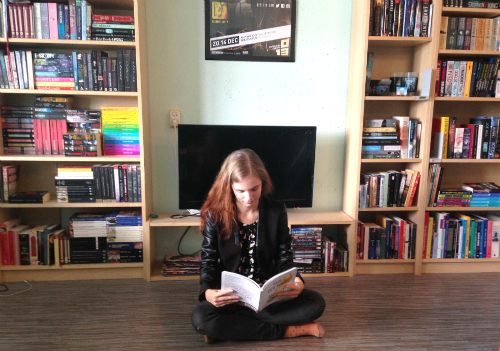 With the glee of someone reading a forbidden book, I read The Selection. The book actually surprised me with the likeable characters and slow-burn romance. From the fact that it had a love-triangle I had assumed that we were getting into a Bella-esque instant without-you-I-will-die puppy-love. Instead we got a steady first boyfriend love interest and a friendship-turned-romance love interest. There is very little romance in the book from about 20% till 60%. Instead of the oozy swoonfest, The Selection presented the love-triangle in a believable and understandable way. Although I want her to make a choice already, I’m not hating it yet. The world building is pretty shallow. There is very little reason given for things to be the way they are. The up side of this is that when you’re not given much information anyway, there is no room for plot-holes. I’m not sure whether that’s an extremely clever tactic or whether that’s just really sad. 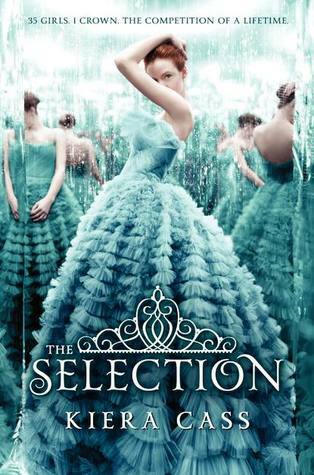 Some people have told me that The Selection is a total mood book, and I agree. When you’re in the mood, it’s so much fun, and you’ll be picking teams and predicting outcomes. When you’re not… Well, there are plenty 1-star reviews putting their opinions down quite eloquently. If I were the kind of person to feel guilty about spending two dollars on something that entertained me for a few hours, I would call The Selection a guilty pleasure. Since I’m not, I’m going to call it two dollar well spent!